Power-to-Gas (PtG) is a chemical energy storage technology that converts electrical energy into a high-energy density combustible gas. This technology alleviates the contradiction between power supply and demand due to the intermittent electricity production from environment-friendly renewable energy. Hydrogen (H2), produced by electrolysis, can be used to produce synthetic methane (CH4) by reacting with carbon dioxide (CO2) that is captured from carbon emission sources. Subsurface gas storage is one of the most important processes in a PtG system. However, nearly a half of the total stored gas is used as cushion gas to maintain a suitable reservoir pressure, indicating large amounts of CH4 might be wasted and trapped in geological formations. Based on a PtG system, CO2 can be a promising choice as a cushion gas due to its high effective compressibility near its critical conditions. In this paper, a numerical model is established based on the theory of the fluid flow and molecular diffusion to study the role of CO2 as a cushion gas in increasing the gas storage capacity. The accuracy of this model is verified by comparing with that of Curtis M. Oldenburg. However, because of the declining purity of recovered gas induced by the convection and diffusion of two kinds of gases in the same reservoir. 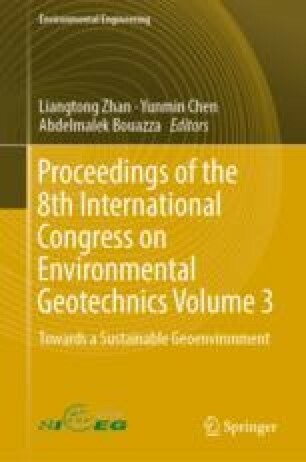 The influences of reservoir thickness on the distribution of mixed region are discussed. The results show that thicker reservoir would be a better choice for the geological storage of CH4 with CO2 as a cushion gas.